Second blockbuster deal of the month for NY-based Sweetwater Energy. Americas dependency on foreign sources of oil will be broken once other forms of energy as well as a net reduction in energy usage is achieved. Coal, nuclear power plants, natural gas, our own oil reserves and ethanol will likely help lower that dependency, with revolutionary powertrains also playing a part. It is a process that will take many years to achieve, with technological and engineering advancements playing no small part. So far, ethanols impact on Americas energy use is still quite small. 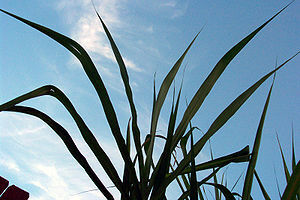 Most ethanol is derived from corn-based materials and is, therefore, not widely available nationwide. Ethanols price and its lower energy efficiency also mean that it is not yet a viable alternative to gasoline. What may change that is the expanded development of cellulosic ethanol, biofuel that is made up of such materials as discarded tires, wood chips, plant products and grasses. Sweetwater Energy, Inc., a producer of cellulosic sugar, recently signed a deal with Front Range Energy to generate cellulosic biofuel at Front Ranges facility in Windsor, Colorado. The Rochester, NY-based company says that the agreement is worth more than $100 million and will last for 15 years. Sweetwater will convert Front Range-supplied cellulosic materials into highly fermentable sugar for Front Range to ferment into ethanol. The Sweewater-Front Range deal is one of the larger ones in recent years and comes as other companies are doing the same. Indeed, just two weeks earlier Sweetwater inked a separate $100 million deal with Ace Ethanol, a Stanley, Wisc.-based corn ethanol producer. Front Ranges capital outlay will be relatively small, with the move helping to stabilize its feedstock costs according to a Sweetwater Energy press memorandum. As part of the deal, Sweetwater will place one of its cellulosic facilities near the Front Range site. Sweetwater says that it will be able to deliver up to 3.6 million gallons of ethanol annually in the early stages of the agreement. On Dec. 4, 2012, Sweetwater Energy, Inc. received a United States Patent (No. 8,323,923) for its method and system for producing ethanol. That patent outlines a unique production and processing method for ethanol that …takes place outside of a centralized ethanol producing plant at a distributed feedstock processing plant, and separation of the resulting liquid and solid occurs prior to fermentation using this distributed production method. Sweetwater employs a hub-and-spoke distribution method, one that reduces operating and transportation costs, improves ethanol production and achieves economies of scale. Sweetwater Energy uses unique technology to produce low-cost sugars from a variety of non-plant materials including wood thinning, crop residues and energy sorghum. Energy sorghum is especially appealing for farmers as it can be planted late while opening up the possibility of double cropping with winter wheat, a potential boon for farmers.